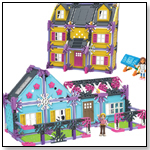 Monster High Scarily Ever After Collection by MATTEL INC.
Other products from MATTEL INC. 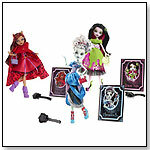 Kids can enjoy hours of spooky fashion fun with Draculara, Clawdeen, and Frankie Stein from Monster High. These stylish dolls are dressed like characters from famous spooky tales. 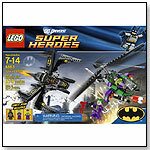 The epic struggle between Batman and The Joker continues with LEGO's Batwing Battle Over Gotham City set. Easy-to-follow instructions and 278 building elements help kids create models of 2 cool vehicles: The Jokers helicopter and the Batwing, armed 2 flick missiles and bomb release function. Comes with lots of great extras, plus a comic book. 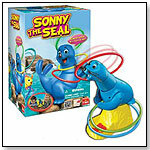 Sonny the Seal moves and sounds like a real seal. Toss rings around Sonny’s bobbing head. When a ring lands around Sonny’s neck, he claps and barks to cheer. For every ring that lands around Sonny’s neck, the player gets a fish reward. The first player to get three fish is the winner. 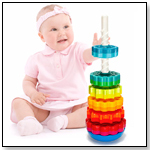 — As of 10/15/2012 this product had 4 out of 5 stars from 2 reviews on Amazon.com.